Cardiology Diagnostic Associates (New York) - Book Appointment Online! If you’re looking for a caring doctor who can help you with all of your healthcare needs, you’ve come to the right place. 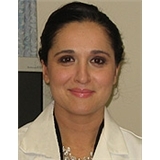 In addition to Dr. Milani’s multiple board certifications in cardiology, nuclear cardiology, echocardiography, cardio-vascular disease and internal medicine, she was the 2010, 2011, 2012, 2013 & 2014 recipient of the American Registry’s Patients’ Choice Award. This award was based on actual patient reviews. No Show Policy: We request that if you cannot make your appointment that give us 24 hours advance notice. If an appointment is missed without giving the office notice, a $50.00 charge will be billed to your account. This is an administration fee, not a charge that will be billed or paid by your insurance carrier. I was very impressed by the care and professionalism during my visit by both the nurse and the doctor. Would definitely recommend!